For the past few weeks, from 06.09. 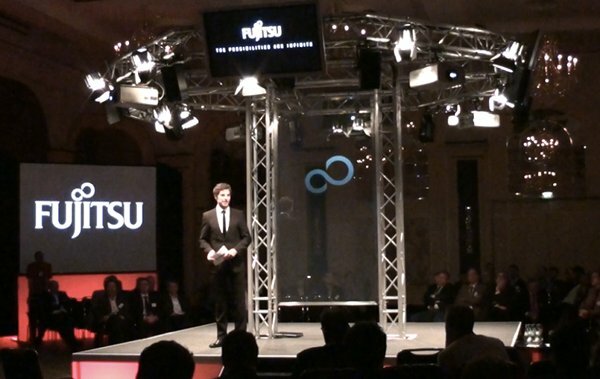 – 01.10.2009, I traveled the country as a moderator with the Fujitsu IT Future Roadshow. In Düsseldorf, Hamburg, Frankfurt and Berlin, the event offered a 360° stage with the audience sitting all around the stage, a unique and innovative concept developed by Head of Event.